“Can’t praise Julia enough. 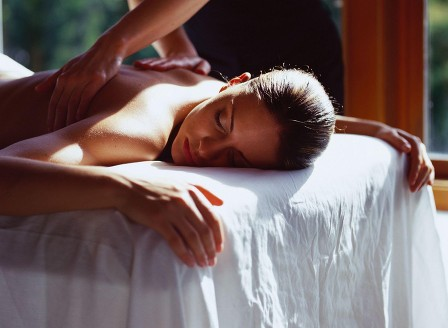 Amazing relaxing massage and treatment therapy rolled into one. First session eased all my pain and left me feeling reborn. Deep Tissue Massage is often used to treat areas of chronic muscle pain and works deeper into the structure of the muscle, fascia and connective tissue. It aims to relax the muscle but also break down any adhesions or knots which have formed, these can cause pain and reduce your range of movement. Sometimes myofascial tissue can tear and adhere together, these adhesions are called trigger points. They can feel very tender when touched. Trigger points lead to muscle stiffness and often reduce your range of movement, the discomfort from trigger points can radiate from the adhesion and the pain can be felt in other parts of the body. Advanced massage techniques such as myofascial trigger point release can be used to treat the area and restore a healthy blood flow so that the adhesion can be broken up and the muscle and fascia can work smoothly again. This massage is firm and it’s good for those people who enjoy deep muscle massage, which gets deep into muscle knots and tension. What issues can Deep Tissue Massage address?